I’m stubborn by nature and while evidence of Christmas abounds in Brisbane I refuse to consider acknowledging the up coming festive season until at least December 1st, the beginning of advent. My attitude isn’t driven by religious considerations or tradition just plain old curmudgeoness. December 1st always arrives soon enough. It was all about sourdough during November In My Kitchen. Firstly I found a package of well matured wheat sourdough starter in the fridge, then my copy of “Sourdough Made Simple” by Emilie Raffa AKA The Clever Carrot arrived. Both coincided with new information published by Monash University IBS researchers that concluded slowly fermented sourdough bread made with wheat flour is equally as digestible as a similar loaf made with spelt flour. Woohoo!! Eagerly I activated the wheat starter that had been dried since Feb 2016. Those magical granules took off like a rocket so I baked some plain white bread, ate a couple of slices and waited for my gut to react. Nothing. I didn’t need to be told twice that this was OK so I baked walnut bread with the wheat starter. I used a recipe based on a post by Debi from “An Evolving Life”, using 2/3 spelt, 1/3 wheat. It was delicious and digestible so I made it again, this time 1/3 spelt, 2/3 wheat with some oat bran thrown in for good measure. Then I made pizzas with wheat sourdough bases. They were much, much better than any other sourdough bases I’d ever made, I was in pizza heaven. Eager to keep the momentum going, I whipped up the recipe for light and fluffy brioche from “Artisan Sourdough Made Simple”. I confess I’d never been a huge fan of brioche, but this is an opinion changing loaf, it’s barely sweet, light and rich with a delicious buttery flavour. 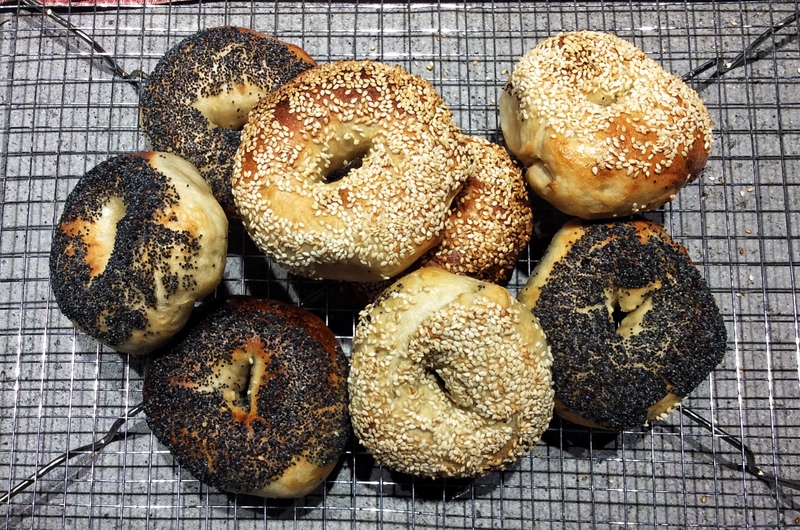 For me though, the most exciting sourdough recipe I made in November was Emilie’s Sunday Morning Bagels. I haven’t eaten a genuine boiled bagel for 5-6 years, and even then I had to cross town to find a proper bagel. These are the goods, dense, chewy and delicious. Bagel and Lox, mmmmm. Now it’s December 1st I suppose it’s time I embraced the joys of Christmas, and while I’m not catering for celebrations this year there are still lots of preparations to be done. I’m linking this In My Kitchen post up to Sherry @ Sherry’s Pickings who hosts the worldwide forum of food bloggers. Click on the link to see what others are up to. Sandra, your post has sent me to bread heaven. Surely sourdough has to be one of life’s greatest pleasures. Love the sound of the bagels! Thanks Tracey. Good bread IS one of life’s pleasures plus it gives me such a buzz to be the baker. I make no claim to being a Chritian but the true meaning of Christmas is almost lost. Here it’s all about shopping, over indulgence and partying, a idea that has originated with retailers. I am beginning to make plans but I’m keeping it simple. However I have decorated the tree. I am so glad that you have found the secret to enjoying sour dough with wheat flour. I also purchased the same bread book and am looking forward to doing some baking when things are calmer. That walnut bread caught my eye, it is one of my favorites. Great to hear that the Monash studies have reinforced the idea that has been around for a while- that long fermented sourdough is ok for the gut. ( or those who need to take care). It has certainly opened up a world of sourdough baling for you, and each one looks good but I rather like the look of that brioche.Bbest wishes for the coming silly season Sandra. Wowsers, that brioche and the bagels! Super impressed. Oooh, bagels and brioche. I’ve got to get more inventive with my sourdough. Thanks for the shout-out. I do love the whole wheat walnut bread. It’s interesting that the only spelt flour I could get back in the UK was whole wheat. I’ve never seen the white version. But, it’s good news regarding the digestibility of slow rise sourdough wheat. 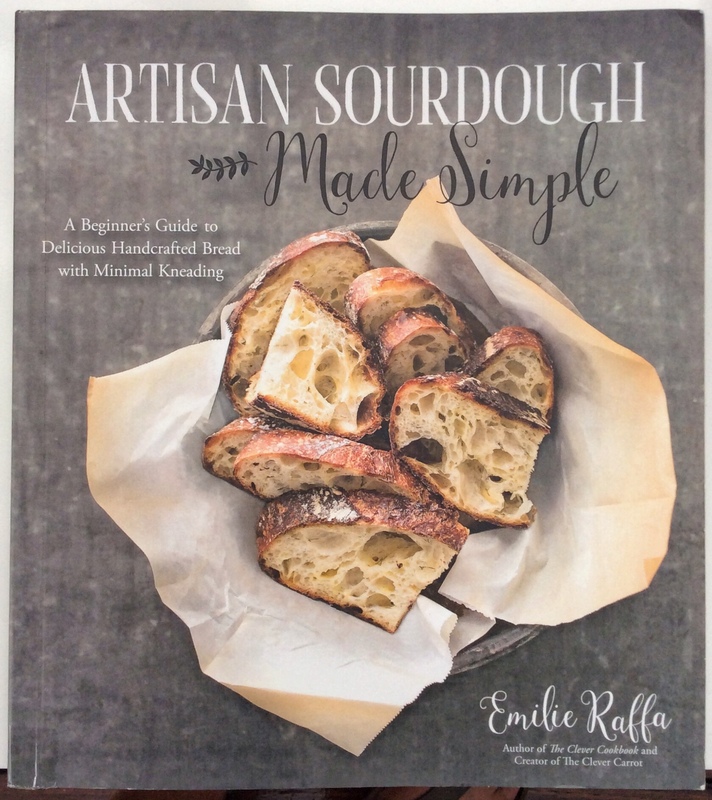 Must look up “Sourdough Made Simple” by Emilie Raffa. Sounds like a great book to have around. Those walnut bites are on the list for our Christmas, too! All of your bread looks AMAZING! I’m so pleased you are able to enjoy wheat baking again. My youngest daughter is reluctantly following FODMAP guidelines and finding some benefit. I bought her the small Macquarie University guide and it does emphasise that it doesn’t necessarily mean a changed diet for life so that cheered her up. Only wheat that has been slowly fermented is OK but it’s a good start. Monash Uni have a comprehensive Phone App which I find extra handy. A fun post. By the way, we had a remarkable time in your hemisphere! Wish I could have made it to Brisbane! Thanks Mimi. I was thinking of you when your were down under and hoping that we were fulfilling your expectations. Glad we didn’t let you down..
OMG! Incredible. That’s not even a good enough word! Hi Sandra. I have the same rule. Christmas cannot be mentioned until Dec. sadly it is Dec now so I guess we have to acknowledge it. 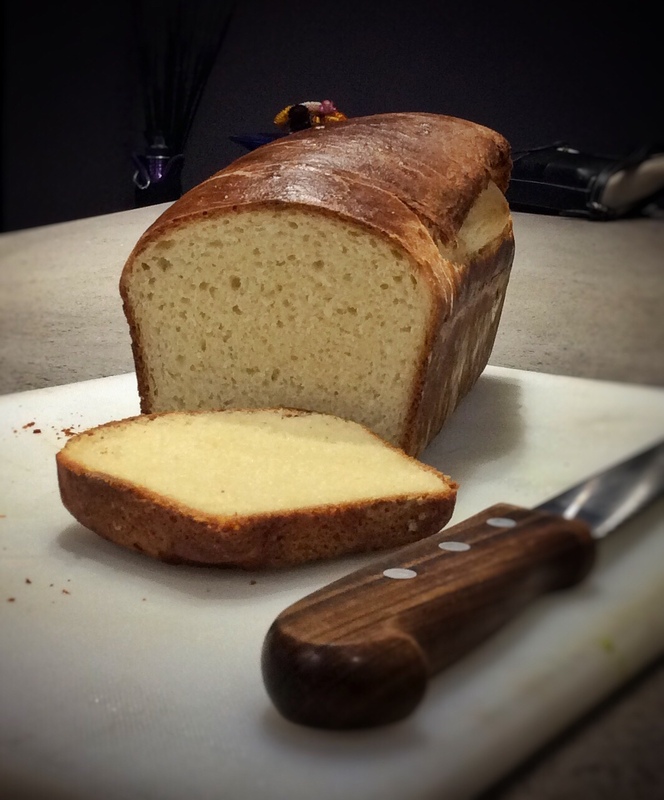 Bagels, brioche, walnut loaf — you are a very intrepid baker! My most adventurous yeast bake is pizza, so I’m awed by your November sourdough adventures. I love the taste and smell of yeasted bread, but I think I’ll definitely have to give sourdough a whirl, as my insides are not quite so enthusiastic. I initially thought it was the fault of reintroducing wheat, but 3 months in, it’s the same story. If you can eat it, chances are I can too! Fermentation changes everything when it comes to wheat and spelt flour Kate. It consumes the short chained carbs that are the culprit of indigestibility = IBS. I can’t find your postal address. Send me an email and I’ll send your some dried starter granules. This entry was posted on December 1, 2017 by ladyredspecs in In My Kitchen and tagged IMK, in my kitchen.